Home / Guides / Instant Guide on Building Your Own Powerful Hybrid Deck! Instant Guide on Building Your Own Powerful Hybrid Deck! What Exactly is a Hybrid Deck? In Clash of Clans, a hybrid Army is when you have one attack to weaken a part of the base then you have a second attack to finish things off. In Clash Royale, it’s a little different. A hybrid deck is a deck which combine 2 different play styles. This could mean a deck uses a Hog Rider for blitz pushes and a Balloon for another attack. A hybrid deck can also be combination of 2 different archetypes. You could have a P.E.K.K.A for a beatdown aspect while you have the X-Bow as a siege weapon. Hog Balloon is a hybrid deck! As with any deck archetype, hybrid decks have their own advantages and weaknesses. Although there aren’t that many cons for a hybrid deck, these decks can be very complicated during battle. This leads to other players to use other singular archetypes which only incorporate one playstyle. Those decks are a little easier to use and are much easier to create. Beatdown-Siege – A beatdown siege deck uses a siege weapon in combination with a beatdown attack. These decks use either the X-Bow or Mortar for siege and a tank such as a Golem for heavy beatdown or P.E.K.K.A which can help defend then transition to offense. Hog Rider and Graveyard can also be used in combination with the siege weapon. Air and Ground Attack – Air and ground attack use a ground troop attack in combination with a flying troop. Not all Air and Ground Attack decks are pure hybrid. For example, a Giant Balloon deck is an air-ground attack so it could be considered hybrid if you are also able to make separate Balloon pushes. Air and Ground Attack decks are only considered hybrid if can make separate pushes between your ground and air win conditions. Beatdown-Chip – Beatdown-Chip decks use a beatdown push with another win condition which also allows for chip damage. The beatdown push normally has a tank like a Giant. The chip damage comes from a Hog Rider or Miner. These decks are usually used like a normal beatdown but are also hybrid with the ability for separate attacks. Giant Miner is a very strong hybrid deck! The best win conditions to use are cards which can be used separately in different pushes while also making for a powerful combo when used together. The best win conditions are: Hog Rider, Miner, Balloon, X-Bow, Mortar, P.E.K.K.A, Giant, Graveyard, Royal Giant, and Elite Barbarians. Each of these cards can be used separately by themselves and can also synergize well with other win conditions. In the beginning, find out your opponent’s win condition(s) and their counter cards. Try not to show both of your win conditions in the beginning unless you can benefit from it. Now that you know most of your opponent’s deck, start to get more aggressive. Most hybrid decks also have a control archetype aspect. Play the match by making positive Elixir trades then going aggressive when the time is right. Hybrid decks rely on going aggressive, but not too aggressive, with being able to use different attacks. Once double Elixir start, GO HAM on your opponent. Slam your foot on the gas pedal and don’t let go. You will need to play very aggressive and apply pressure. Easing up on the gas pedal can allow your opponent to gain an opportunity to break through your defenses. If you must play a little passive, start a card in the back to threaten your opponent that you are building up a push. Continue to do chip damage on your opponent’s Tower. Whittle down the Tower slowly but surely. Make smart play and gain Elixir advantages to cripple your opponent slowly. Just keep on fighting and if you must, play heavy defense to force a draw. Beatdown Card This needs to be a tank which can help defend your siege weapon and transition to offense. A Giant can be used to soak up damage or a P.E.K.K.A can be used to provide extra defense. Graveyard can also be used. Siege Weapon This is self-explanatory. Use either X-Bow or Mortar, which ever one suits your style. Main Support This needs to be an all-round versatile troop which can be used in many situations. Examples: Electro Wizard, Executioner, Wizard. Building/Siege Defense This can be a building which you can use on defense and to also defend the siege weapon. If you prefer not to use a building, instead use a card which can help to defend the siege weapon. Examples: Cannon, Ice Wizard, Fire Spirits, Knight. Anti-Air This will be a card used to hit air troops and/or provide extra support. Examples: Musketeer, Archers, Minions, Mega Minion. Swarm Card Any type of card to be used as a swarm. Examples: Skeleton Army, Goblin Gang, Skeletons. Win Condition 2 (Ground) This will be a ground troops used to make ground rush attacks. Examples: Hog Rider, Elite Barbs. Air Support/Spell This can be a card to support the air troops or a spell. Examples: Minions, Arrows, Fireball, Freeze, Baby Dragon. Main Defense Use a solid defensive building here. Examples: Cannon, Tombstone, Inferno Tower. Versatile Support This card is used to support your main defense and offense. Examples: Musketeer, Ice Wizard, Princess, Executioner. Versatile Response Card A versatile card which can be used in many situations. Examples: Ice Spirit, Skeletons, Skeleton Army, Goblin Gang. Spell Use a spell which helps to cover up the weaknesses of your other cards. If your deck is weak to swarms, use Zap, Arrows, or Log, and if your deck has little splash damage, use a medium damage spell such as a Fireball. Tank Use a sturdy tank that will mainly be used on offense. 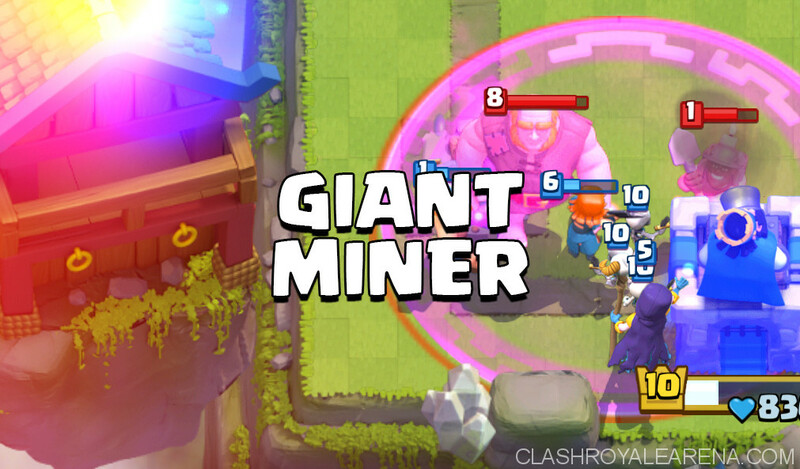 Examples: Giant, Golem, Royal Giant, P.E.K.K.A. Support Card 1 Support card 1 will be a card used to support your tank. Examples: Musketeer, Executioner, Electro Wizard, Wizard, Bowler. Main Defense Rely on this card to provide the DPS needed on defense. 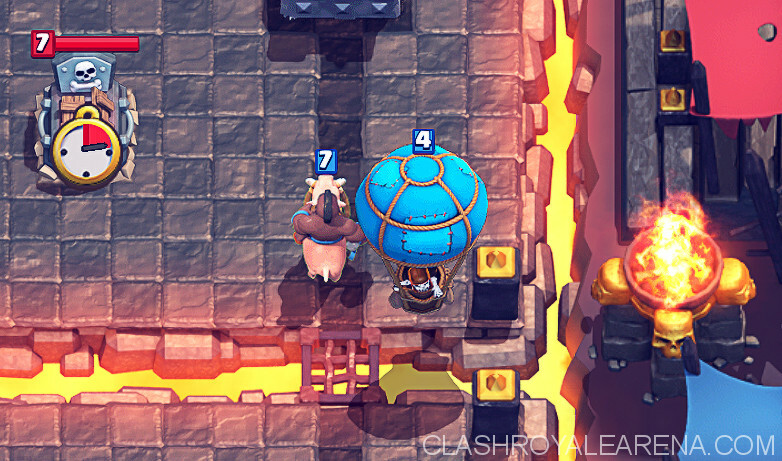 Examples: Inferno Tower, Tombstone, Cannon, Musketeer, Mini-P.E.K.K.A. Defensive Support This will be a card used to support your defense. Examples: Ice Spirit, Skeletons, Ice Wizard, Mega Minion, Skeleton Army. Spell 2 Medium-damage spell or support spell. Examples: Fireball, Poison, Freeze. These are examples decks to give you an idea for what type of deck to create. You can either use one of these decks or create your own. We posted this deck on CRA before. Take a look at here guys! Previous OPENING ALL BEST CHESTS! | Clash Royale | NEW FREE CHEST DROP & NEW HIGHEST TROPHY RECORD!